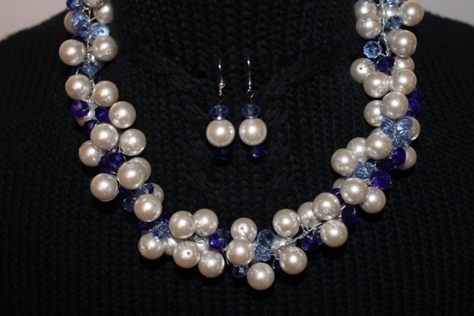 This Beautifully Handcrafted Jewelry Set is made with blue and white glass beads. The set includes necklace and earrings and made just for you. All sets are designed by hand, therefore no two items are identical. That's the beauty of buying handcrafted. The length is 20 inches and is finished on each end with a silver-tone toggle clasp.